Flow, a collection that flows with time. See how the Flow collection can add an elegant element to every dining situation. From simple pool side service to elegant dining areas, the Flow collection is a wonderful addition to your food service. The Flow collection form Villeroy & Boch is a timeless design that adds elegance and sophistication to your food service. Spice up your menu with a dramatic flowering onion appetizer! 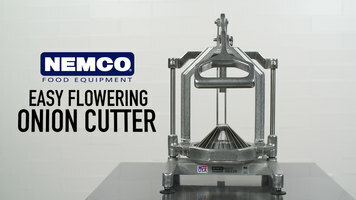 This cutter from Nemco makes quick work of large or small onions to create even, consistent "petals". Flowering onions are the perfect way to attract customers and help boost sales at your grill or steakhouse. 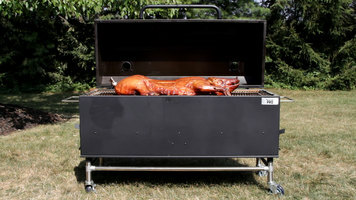 Smoke your delicious roasts, ribs, and briskets with the Backyard Pro 60" charcoal/wood smoker! With 3 adjustable cooking grate heights, you'll be able to accommodate different heat levels to achieve the smoky taste you desire.